Step on board during our milestone year and extend your clients journey with a bonus 3 nights hotel accommodation in either Adelaide or Darwin (including breakfast daily). Please feel free to download the Agent Tools below including Offer Flyers and our Campaign Kit. 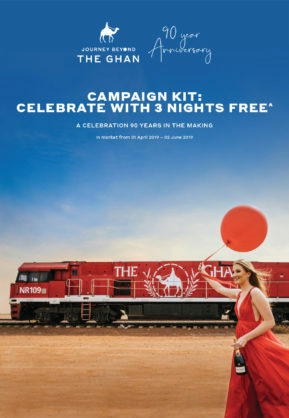 The Ghan & The Ghan Expedition – What are the differences?